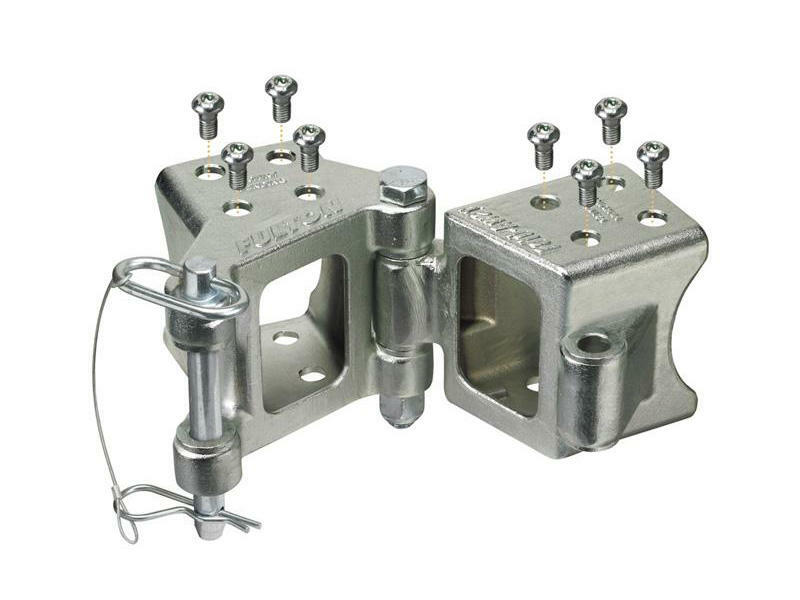 Fulton HDPB-33 Bolt-On Trailer Tongue Hinge Kit - 3" x 3"
Fulton's high performance series fold-away hinge kits are ideal for boat trailers that can be just a little too long to fit inside smaller garages. This high quality product is precision engineered to fit standard trailer tongue dimensions. Z-Max 600-hour zinc plating provides protection 6 times longer than typical zinc finishes. Installation hardware is included. Limited 5 year warranty. Fits 3" x 3" trailer tongues. Hinge weight capacity is dependent on trailer tongue length. Please see instruction sheet for details.